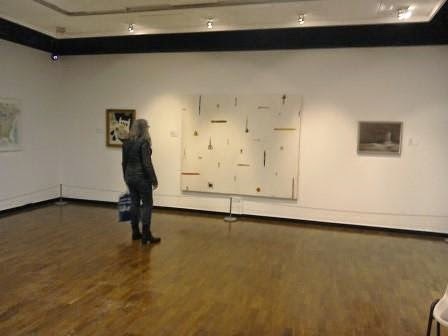 A few posts ago, I explained that there are 5 exhibitions in 5 galleries throughout the south west holding exhibitions under the 'Modern Art in Britain' heading, organised by Frameworks. They aim to celebrate the best of British art, and emphasise that the destinations are just a short train ride from each other, which is true, Bath, Bristol, Cheltenham and Swindon are so easily reached by rail or road. 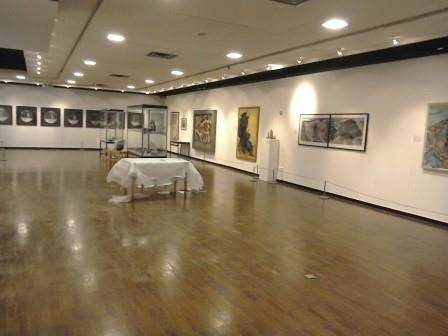 The exhibition at Bristol Museum and Art Gallery opened on Saturday with a discussion between Sophie Cummings, curator of the Swindon exhibition, and Saira Kalimuddin, student curator at Bristol. 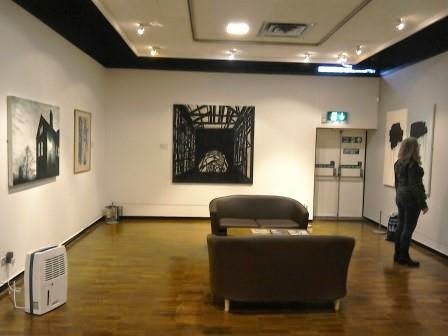 Above, the poster with the wonderful Barbara Hepworth's image in the background. I was lucky to get one of the last two seats for the discussion, and was amazed by how many people came in after the starting time, the gallery was really full of enthusiasts. I have organised a Friends' visit to this exhibition on Monday March 9th, meeting at 2pm in the main reception hall for a 2.30pm talk by Karen MacDonald in the gallery. Please let me know if you would like to attend by ringing 01793 527149. 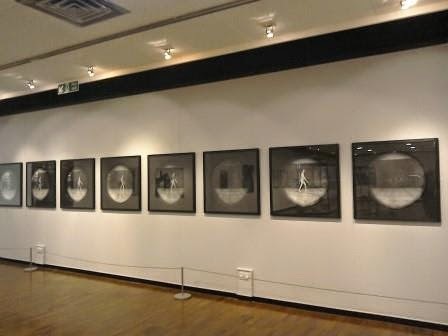 It was good to meet Karen on Saturday, I'm looking forward to hearing her talk having seen the exhibition already. 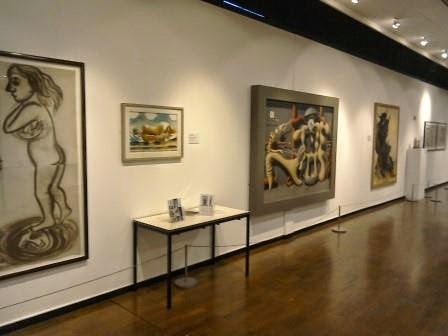 And then below a pair of works which look so good together, I'm hoping we can borrow the Hepworth for Swindon so we can show it like this with the Henry Moore. And on the way back to the car park, I tried to photograph the sweet dog, Nipper. 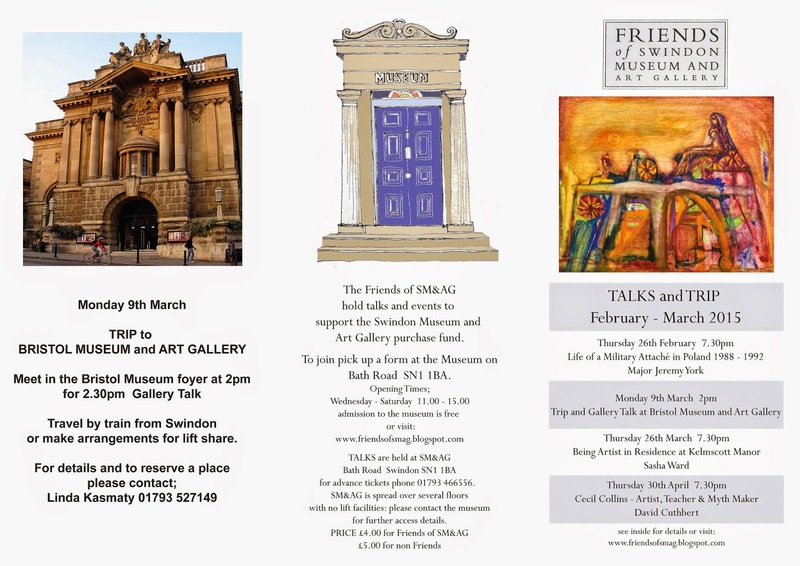 The exhibition at the Wilson is already open and runs until the 8th March, the Holburne opens on the 28th Feb, and the Victoria Art Gallery have their 2 exhibitions opening on the 7th March. It's hard to keep up isn't it? 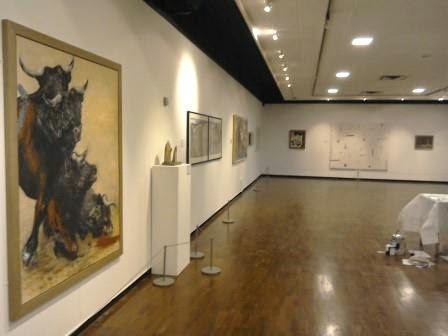 There's a new exhibition opening this Wednesday, January 14th, at the Swindon Museum and Art Gallery, it forms part of the MODERN ART IN BRITAIN series, featuring more than 40 works from the Swindon Collection. 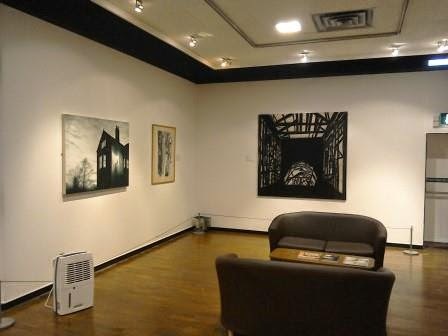 It's one of the five Frameworks exhibitions across 5 venues including Bristol Museum and Art Gallery, The Holburne Museum, Swindon Museum and Art gallery, Victoria Art Gallery and the Wilson. I went into the museum on Saturday and took a few photos from the door, only one of which is vaguely any good. Really exciting, especially if we can arrange a trip to a Ravilious exhibition as well. And then I photographed Bath Abbey on the way back to the station. 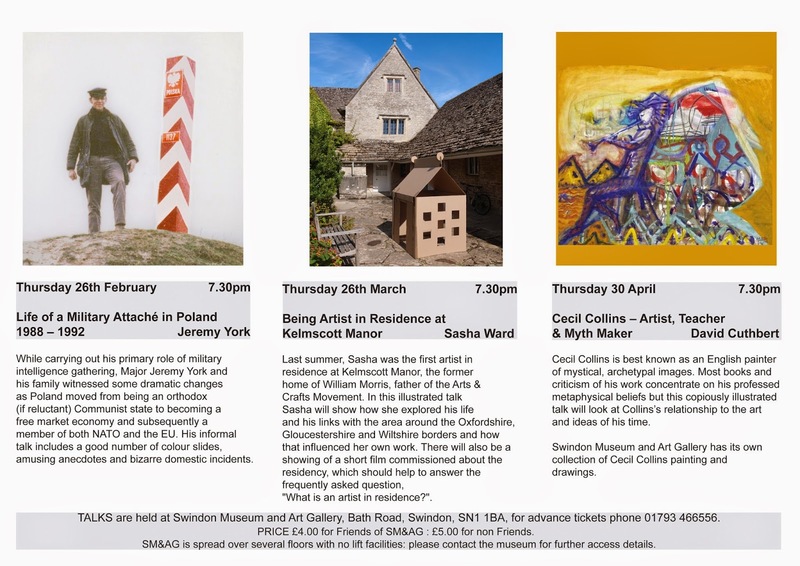 I'm hoping to attend more of the Bedfas talks, easy enough to get to the Holburne, we were back in Swindon by 8.45pm. 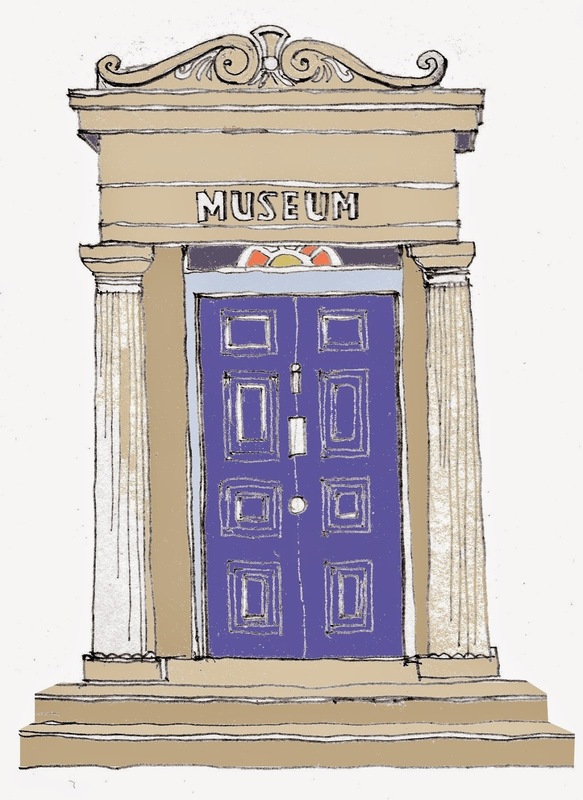 Hard copies are available from the Swindon Museum and Art gallery, and will be sent out to Friends on email, and hard copies sent to Friends whose email addresses we don't have.